Special Relativity / Mass-energy equivalence? 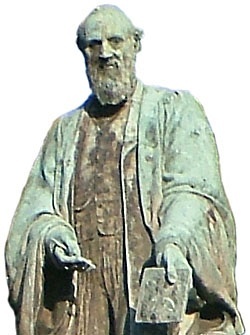 The history of science is replete with corrections and revisions in many areas of endeavour. This is to be anticipated as it gropes, fumbles and stumbles its way towards certitude. By and large, scientists have made a fine contribution to humanity, but only when they stick to their knitting, meaning the practical or empirical realm. Unfortunately, too many have wandered off the reservation by delving into more philosophical matters pertaining to the absolute realm. This includes the grand theory of everything, the size and origins of the universe, the origin of life, dark matter, etc. These wider areas of inquiry are best left to the philosophers, because only we have the most objective understanding on the limitations of various forms of knowledge. Let me provide you an example of this shortsightedness. How do scientists prove that matter can annihilate in a universe that might be bottomless (infinitely divisible) in all directions? The philosophical answer is they cannot. 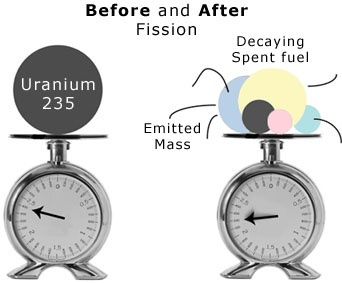 Consider the typical nuclear fission experiment with a Uranium 235 sample. After it undergoes fission, it produces spent fuel (Strontium-90, Krypton-92, Barium-141, Cesium-137, etc. 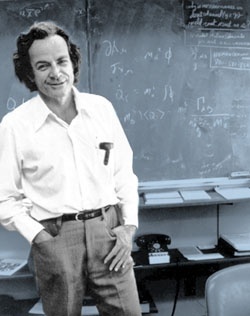 ), free neutrons and various forms of energy. The total mass of the spent fuel is less than the original mass of the Uranium 235 sample. This small difference in mass had been converted into energy. This constitutes a proof for the annihilation of matter. However, how do they know that they possess all the possible spent fuel? Is there a difference between, “all that has been seen” and “all that can exist?” For instance, is it possible that the fission event produced such incredibly tiny particle fragments, that they simply faded from everyone’s view? Is it possible that in the next millennium, our species will have developed super-quark microscopes that can find all these so-called “missing” pieces of spent fuel—at higher than current magnifications? What evidence is there to rule out this possibility? There is no evidence; it’s an argument from silence. It is like a blind man telling us that colour is impossible, merely because he has stopped looking for it. Perhaps he should consider the possibility that he is presently ill-equipped to detect it. If empty space is infinitely divisible, there will always be room to misplace an infinite number of infinitesimal subatomic particles (spent fuel), all having some possible amount of mass. Moreover, the newly created fission by-products undergo beta decay, which makes one wonder, how fresh is their final weight measurement? It is undeniable that the fission procedure generates vast quantities of energy, but does matter have to annihilate in the process? Is that the only de facto possibility? That is the real crux of this question. Here is an alternative scenario. 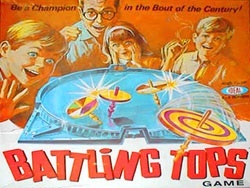 When I was younger, my friends and I would play a game called Battling Tops. We would wrap a string around these small plastic tops and stage them on this 12-inch concave board. At the count of three, we would all pull our strings like a ripcord and the tops would go off spinning around at high rotational speed. Eventually, they would drift towards the center of the board, where they would collide with each other. As we were watching them, suddenly, we would hear a loud Ping as the tops went sailing across the rumpus room. It was great fun. Many years later, that innocuous experience stimulated me into envisaging an alternative fission scenario. Perhaps, at closer inspection, every Uranium 235 nuclei contains a countless number of small, spinning autonomous subatomic particles, like tops—minding their own business. When a neutron is introduced in a specific way, it initiates the fission process. This may be nothing more than setting off a cascading series of collisions, which converts the particles’ rotational kinetic energy into linear kinetic energy, without annihilating anything—just like Battling Tops. When you think about it, there are many other possible scenarios for the fission energy source, besides annihilation. Philosophers only need one to call this existing dogma into question. Bottom line, until we can distinguish between “too small to detect” and annihilation, we cannot objectively prove that anything has ever been annihilated. Scientists should prove that they have developed an infallible, all-seeing particle detector first, before using their absolutist language. Can empty space be infinitely divisible? Yes, the universe might be bottomless in all directions. 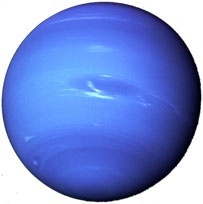 Perhaps Neptune existed before it was discovered in the 19th century. Retro game for aspiring particle physicists. Unfortunately, it isn’t obvious to the purveyors of scientism, that omnipresence is a prerequisite to proving annihilation in a universe that might be infinitely divisible.